TPCast’s second generation wireless VR solution wants to turn Oculus Quest into a streaming PC VR headset. TPCast Air was announced at CES 2019 in Las Vegas today. Whereas the Chinese company’s original products made the HTC Vive and other PC VR headsets wireless via streaming, this new device will beam high-end VR content into less powerful standalone headsets. However, the company’s press release also notes that support for Oculus Quest will be added in the future. Arriving later this year, Quest is another standalone but it has a full 6DOF range of movement thanks to inside-out tracking. Specifically, TPCast says this integration will allow users to freely walk and interact with each other. The company says it could be put to use in VR arcades. We know that Quest won’t be able to plug into a PC to double as an Oculus Rift. Oculus did, however, debate offering a streaming solution similar to what TPCast is describing. According to Oculus’ John Carmack, it could turn into an official feature, but ‘no promises’ as of yet. TPCast Air is on display on the CES show floor. We’ll look to get you some impressions later this week. The post CES 2019: Tpcast Air Wants To Turn Oculus Quest And Go Into Streaming PC VR Headsets appeared first on UploadVR. January’s Oculus Rift Updates Add Even More Social Features The features are being rolled out via Oculus' Public Test Channel. The post CES 2019: Audi Dreams Of VR In The Backseat Of Every Car appeared first on VRScout. The post Oculus Rift Finally Gets Facebook Livestreaming, Public Homes Today appeared first on UploadVR. 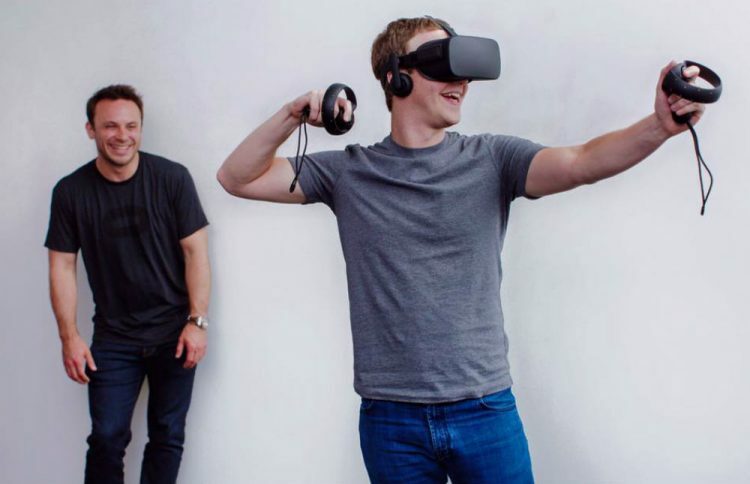 Facebook confirmed to UploadVR that the Oculus Rift’s price is being officially cut to $349. The regular price was previously $399. In an email, the company told us the price cut is occurring “across all countries where we currently sell”. This brings the price to $150 lower than the HTC Vive (the Rift’s main competitor). It’s also closer to the Windows MR headsets, which sell for as low as $199. We noticed the change for the UK & Canada at the weekend, but hadn’t ruled out the possibility of a listing error. We reached out to Facebook and received confirmation this isn’t a sale. Of course, this isn’t the first time the Rift’s price has been cut. The headset (with an Xbox controller for input) went on sale in early 2016 for $599, with the Touch controllers launching later that year for $199, making both together $798. In March 2017 the headset was reduced to $499 and controllers to $99, making the bundle $598. Summer 2017 saw the introduction of the current single box SKU with the headset and controllers for $499, with an introductory sale of $399. The $499 price only lasted for a matter of weeks, however. In October at the Oculus Connect 4 conference the $399 price was made permanent. This latest price cut isn’t live for most countries quite yet. Facebook told us the new pricing will roll out “over the next week or so”. In November, TechCrunch reported that Facebook was planning a cheaper ‘Rift S’ hardware refresh for this year. If true, this week’s price cut could be the Rift’s final- a last breath of life in the market before being replaced later this year. The post Oculus Rift Price Officially Cut Again, Now $349 appeared first on UploadVR. The post CES 2019: Pimax Showcases Open-Palm Controllers, Hand & Eye-Tracking appeared first on VRScout. Vive Cosmos wasn’t the only new VR headset introduced at HTC’s CES press conference this year. The company also debuted Vive Pro Eye, an update to last year’s Vive Pro. As the name suggests, it comes with a key new feature: integrated eye-tracking. But what else is new about HTC’s latest? Read on for our full run-down of everything we know about the Vive Pro Eye. We’ll get to Vive Pro Eye’s big new feature in a second. The actual headset, however, seems to be identical to last year’s Pro. Specs on the official site suggest as much: 2880 x 1600 resolution with a 110-degree field of view (FOV) and 90Hz refresh rate. Integrated audio is still in, though the site does list ‘Enhancement of headphone in ergonomics’. We’re trying to find out if that means the headphones are indeed improved over the original Pro. It also still uses SteamVR tracking, unlike Vive Cosmos. Eye-tracking may be the only genuinely new thing about Vive Pro Eye, but it’s a big inclusion. It’s a long-anticipated feature for VR and can be used as a form of input. Imagine selecting things on a menu simply using your eyes, or having the direction your pupils are facing replicated on a virtual avatar. Most importantly, though, eye-tracking enables foveated rendering. That means the headset will only fully render the part of a screen it knows you’re looking at. That takes a lot of processing pressure off of the PC that’s powering the VR experience. Unlike last year, HTC’s wording on who Vive Pro Eye is for was clear. The device was introduced as an enterprise-level device first and foremost. It’s very possible that regular consumers with deep pockets will be able to buy it but, like the original Pro, it’s not a replacement for the first Vive. To that end, HTC is demoing Pro Eye with a range of business applications, like a new car viewing app from Zerolight. With that in mind we should say this thing is probably going to be expensive. The original Vive Pro started at $799 for the base headset. That price rose to $1,400 for a bundle with controllers and base stations. We don’t know if Pro Eye is going to be replacing the first Pro yet, but either way we’d expect a similar price range. Vive Pro Eye will be out in Q2 2019. We don’t know the exact date, but we wouldn’t be surprised if we found out during GDC/MWC in March or Vive Day on April 5th. We don’t even know if regular consumers will be able to buy it. Vive Cosmos won’t be out until after Pro Eye’s release. The post Vive Pro Eye: Everything We Know About HTC’s New Headset appeared first on UploadVR.